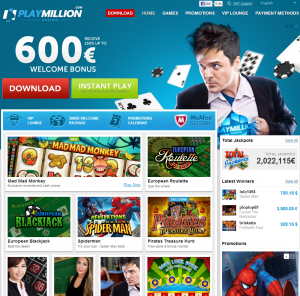 Playmillion is a very professional online casino with many exciting games, a top-notch software and no-download-option. Many lucrative bonuses and promotions, such as the welcome bonus of 150% up to €600, make this casino an excellent choice. There are many different games you can play in the Playmillion casino. First, there are more than 70 online slots. You can play the traditional 3-reel and 5-reel slots, many of which revolve around popular icons (Captain America, Batman, Spider-Man). Some of the slots also have a progressive jackpot. The highlights in the slot section are probably the five 3D slots (Ghost Pirates) that bring online gambling to a new level. Playmillion also offers card and table games. One positive aspect is the great variety of Roulette games (11 different ones, including Live Roulette). There are also several Blackjack variants (including European Blackjack, Progressive Blackjack), a few card games (such as Pai Gow), as well as Craps and Baccarat. You can also play up 15 Video Poker games, several scratch games, and also two “extra games” (Big Wheel, Doubles Heaven). Finally, Playmillion also has real dealers in their Live Casino section for Roulette, Blackjack, and Baccarat, including Auto Roulette. To register, you only need to enter a username, an email address, and a password. If you chose the instant play option, you will then immediately be redirected to the casino lobby and can start playing. The website is very user-friendly. 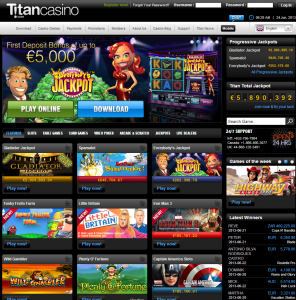 The available games are not just listed, as is the case with many casino websites, but categorized. For instance, instead of just seeing a huge list of online slots, you can select the category you’re looking for: 3D slots, Jackpot slots, 3 reels, 5 reels, and new additions. There are two ways of playing in the Playmillion Casino: you can either download the software (for Windows only) or play in your browser. There is also a practice mode, in which you can play the games on Playmillion for free; you need to have a registered account for this. 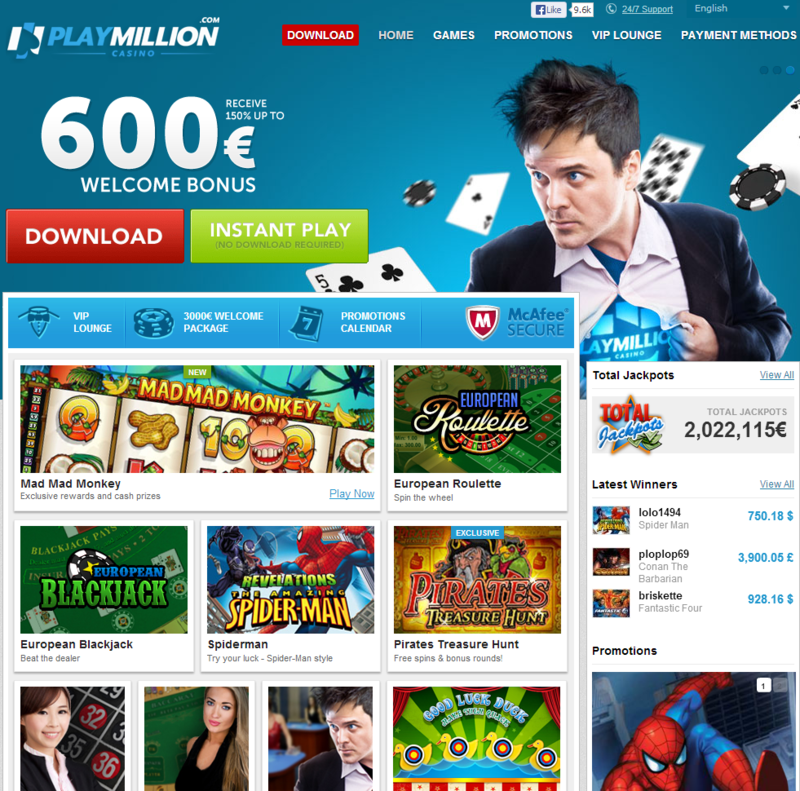 Playmillion presents a welcome package to all new players: five successive deposit bonuses of 150% up to €600. In order to release the bonus amount, you need to bet the sum of deposit amount and bonus amount 30 times. Not all bets count fully toward the bonus requirement, however. For instance, only 10% of the amount you bet on Blackjack and Roulette count toward the bonus requirement. Moreover, players can also get a reload bonus of 100% up to €100 or 50% of up to €500. There are also different tournaments, such as the weekly €1,500 Weekend Race both for slots and other games. Playmillion accepts a wide range of payment methods, from MasterCard and VISA to debit cards, to bank transfer, prepaid cards (Paysafecard, Ukash) to various e-wallets (Skrill, PayPal, Click and Buy). Playmillion’s customer support is available 24/7. First, the online casino has an email support and you can contact the respective department (marketing, bonus, technical issues) directly. There is also a phone support. Then there is also a live support option, though it is a bit complicated, as you need to enter your username, phone number and pick a category and submit your question before actually getting to the chat. However, in a test as an unregistered user, the support answered our question regarding the difference between two similar games (Live Roulette and Auto Roulette), even though it took a few minutes. Playmillion offers a broad range of games, including Roulette, Baccarat, Video Poker and online slots (even though there are casinos that have more slots). There is a no-download-version of the casino that works without flaws and lags. Furthermore, Playmillion keeps it interesting with ongoing promotions, such as weekly tournaments, and lots of opportunities for reload bonuses. 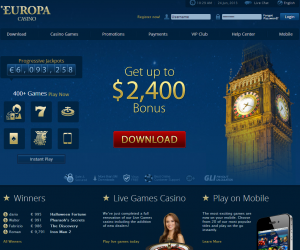 The Europa casino is a good online casino without substantial flaws. The amount and variety of games offered is great, the web interface is clean and easy to navigate, and new trends in the gambling industry, such as the live dealers or animated slots, have also been implemented. The highlight of the Europa casino definitely lies in its game selection. 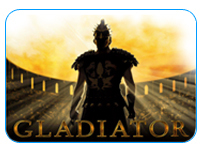 There are almost 100 hundred online slots; they vary from movie/TV-themed slots (Gladiator, The Sopranos) to sport-themed slots (Football Fans, Golden Tour). And of course, there are the classic fruit and candy slots as well. Many slots can also be played in a progressive jackpot mode. If you prefer table games, you will enjoy the six different kinds of Blackjack offered here, including a multiplayer version. Similarly, the Europa Casino provides nine Roulette versions, including the new “Marvel Roulette”, a combination of roulette and famous comic icons such as Spiderman. Moreover, the Europa Casinos offers 14 video poker games, almost 20 arcade games (such as Jackpot Darts and Medusa’s Gaze), a couple of card games (such as Pontoon) and several scratch games. You can also play online craps and online baccarat. The latter also has a Live option: baccarat, roulette, and blackjack are all available in the Live Casino with live dealers in real-time. To register, you need to enter your personal details and pick a username and password. Then you need to click on an activation link sent to you by email. The download version of the Europa Casino only works on Windows computers. You can also use the “instant web play” mode and play straight from your browser. Furthermore, there is a mobile version for smartphones. You can use the free play (or “practice”) option in the no download casino, but unfortunately not all games can be played for play money without a registered account. If you register and play in the Europa casino via your browser, a pop-up appears and the game starts after a few seconds. There is a welcome bonus if you’re a new player in the Europa Casino: if you deposit 100 €, you will get a 100% welcome bonus; you need to wager the bonus amount and the deposit amount 20 times. For highrollers, there is a 50% bonus of up to 500 €. Moreover, you can get a bonus of 10% if you deposit money using one of the e-wallet options, such as Skrill. If you use instant bank transfer or UKash, you can even get a bonus of 15%! The Europa Casino offers most of the common deposit options, such as various credit cards and e-wallets (Neteller, Skrill) and anonymous payment methods (Paysafecard, Ukash). You can also deposit money via (instant) bank transfer. If you want to play and deposit your mobile phone, only credit card, UKash and Neteller are available. The customer service is available around the clock. You can call support by phone, write an e-mail or use the live chat option. The Europa casino’s strength is the great variety of casino games: you can choose one of almost a hundred online slots, you can play traditional games in many variations (roulette, blackjack), and you can play more exotic games. Another advantage is that there are different versions of the software: you can download it, play via browser or use your mobile phone. Stargames is an online casino that sets itself apart from other casinos in one important way: Stargames exclusively offers Novoline online slots! Novoline has been popular as a software manufacturer for land-based casinos, so players who love classics such as Book of Ra can now enjoy those games online! Stargames’ strength lies in the Novoline online slots it offers to all players. They range from classics (Book of Ra, Ramses) to new games with unique, innovative features (Sharky, Roaring Forties). Some games are kept very simple with no bonus features, others have free games, bonus rounds and a lot of special effects. Stargames also has a couple of slots in its portfolio that let you go for a big jackpot! The themes of the slots are diverse: you can find traditional fruit and candy slots, as well as popular slots from ancient and medieval times. Online slots make up the majority of casino games at Stargames, but there is also Roulette, Black Jack (unfortunately only one variant), Baccarat and a couple of Video Poker slots. Furthermore, Stargames has a Poker section and a games section, in which you can play various card and board games against other players, for instance Backgammon. 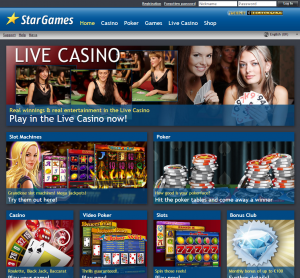 Finally, Stargames includes the Live Casino option for some of its Roulette, Blackjack and Baccarat tables. Very few casinos have such a broad range of games you can play in for real money. To register in the Stargames casino, you need to enter a username, password and an email. 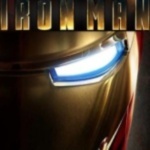 You will receive a confirmation email with an activation link. After you click on that link, you can deposit money. With most deposit options, you do not need to enter your personal information or verify your identity at this point (for instance, if you choose an electronic deposit method such as Ukash). So you can be ready to play within just a few minutes. You don’t need to download software to play in the Stargames casino. All games work in a normal browser. You can also try out all games for free, but need to register an account to do so. The game play is very good: the Novoline slots (most of Stargames’ games) are fast, have high-quality graphics and run smoothly. Stargames has a VIP program and also a referral program. The VIP program has 5 levels (bronze, silver, gold, platinum, diamond); on each level, players receive a monthly cashback from the casino. For every friend you refer in the referral program, you get 10 € bonus if they make a deposit. You can make a deposit via VISA, Mastercard, Ukash, Paysafecard, instant bank transfer and even via mobile phone. You can reach Stargames’ customer support via email or phone. The support is not available 24/7, but from 8 am to 10 pm. There is German and English language support. If you want to play Novoline online slots for real money, Stargames is your first (and only) choice. Registration is quick, there is no download involved, and the website is very easy to navigate. All around, Stargames is a good bet if you are mainly looking for good online slots created by Novoline. Sunmaker is an online casino whose strength lies in the kinds of casino games it offers. The reason is that Sunmaker exclusively offers you the opportunity to play Merkur games online. If you’re passionate about gambling, you’ll have heard of Merkur games, which have been popular in land-based casinos for years. The Sunmaker casino now allows you to play those classic games on your computer! Sunmaker’s great advantage lies in the Merkur slots it offers. 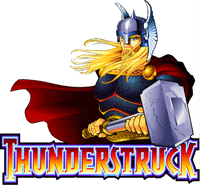 More than 40 slots are available, including fruit slots, such as Cash Fruits Plus, and many slots with various themes, such as outer space (Spacemen), the Middle Ages (Knight’s Life, Castle Mania), ancient Egypt (Fire of Egypt) or adventure (Lost Treasures, Atlantis). The slots range from simple 3-reel-slots to complex 5-reel-slots with mini games, free bonus rounds and other new exciting effects and animations. Check out, for instance, Honey Bee, a slot in which a little honey bee is seen flying around to collect nectar and when successful, activates a bonus round. Apart from online slots, Sunmaker also lets players choose from traditional games, such as Roulette (French or American), Craps, Baccarat and several Black Jack versions. Furthermore, you can play lottery games, such as Bingo and Lotto. One of the highlights of Sunmaker’s game portfolio is definitely the 3D option. Six games can be played in 3D-mode: all symbols are animated in 3D, making them seem more like exciting video games than plain 2D online slots! Signing up for the Sunmaker online casino is simple. You need to enter your name, personal information and a username and password. You will then get a confirmation email with a link that you need to click on in order to complete your registration. Starting to play in the Sunmaker online casino is easy because there is no need to download the software. All games, even the 3D slots, work in your browser. The quality of the images and animations is surprisingly good and there are no lags. When you start a game, a pop-up appears on the website, which you can also maximize to full size. If you’re unsure about this casino, you can always try out the games for free. But this play money option only works if you’re not already registered/logged in. Once you’re logged in, you can only play for real money. Sunmaker offer a welcome bonus of 100% to new players (currently with a limit of up to 100€). Furthermore, if you deposit via bank transfer, you can get a 5% bonus. To clear a bonus in this casino, not all bets count fully. For instance, only 10% of the bet amount in Stud Poker or Black Jack count towards the required bonus amount. Sunmaker offers various deposit and withdrawal options, such as Mastercard, VISA, instant bank transfer, giropay, Skrill, Ukash, Paysafecard and Neteller. For registered users, a live chat support is available. For users that are not registered, there is still an email option to contact customer support. There doesn’t seem to be a phone hotline. The Sunmaker casino is perfect for players who enjoy Merkur slots and who want to play in an online casino without downloading any software!